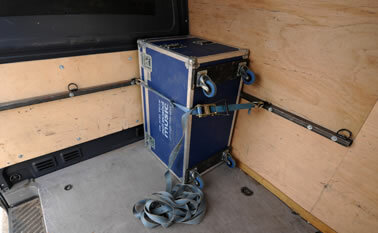 Matt Snowball Music has 20 years’ experience helping touring bands transport their backline gear. We can sort a tailored service with our London team to move your musical equipment across the UK and Europe, or hire you one of our self-drive gear vans. Whether it’s splitter van hire or help with gear moves, our dedicated team in London is ready to discuss your band’s UK and European transport needs. Seats 3 in the front and includes ramp, straps and fixing points. We use our many years’ experience in this field to offer a finely tailored service, with a dedicated Transport Manager to ensure the smooth running of jobs at all stages from booking through to completion. 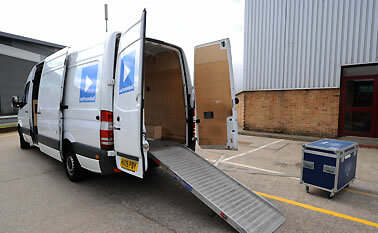 We provide vans with drivers to transport backline equipment through the UK and Europe. 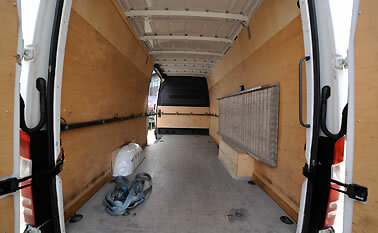 All our specialist drivers are very experienced within the industry, and musical equipment is all we move. 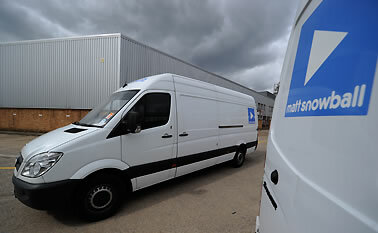 In addition to our Mercedes Sprinters, we have larger and smaller vehicles available to us to suit your transport needs. Our vans are kitted out with ramps, straps and fixing points so you can be assured your equipment will be safely loaded and secured. We also have secure warehouse storage available in two London locations. Our team of drivers has 24 hour access and can work around the clock to suit your needs should you wish to store equipment between gigs or tours.